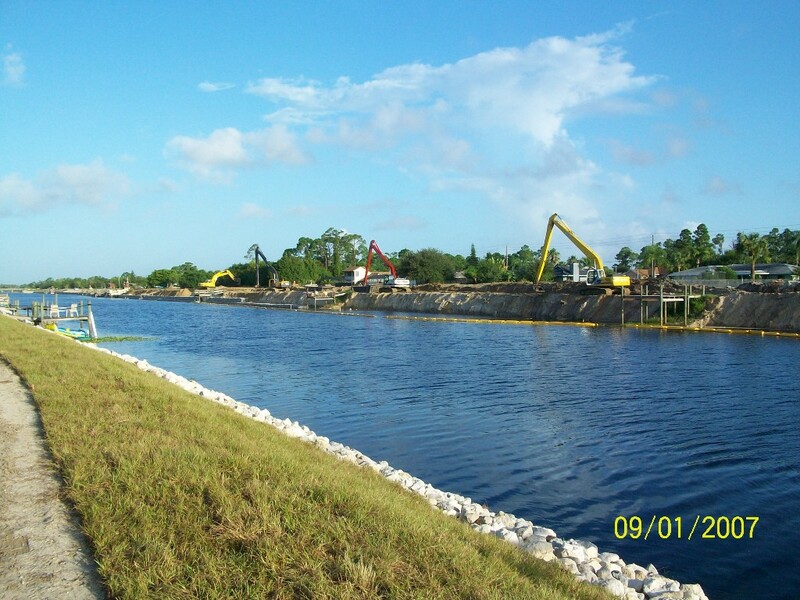 Repair of 4,910 LF of C-24 canal banks in close proximity to residential properties; vegetative removal and removal of existing berm drains, excavation, installation of wire-mesh gabions, rubble riprap, and new berm drains, backfill and sod. 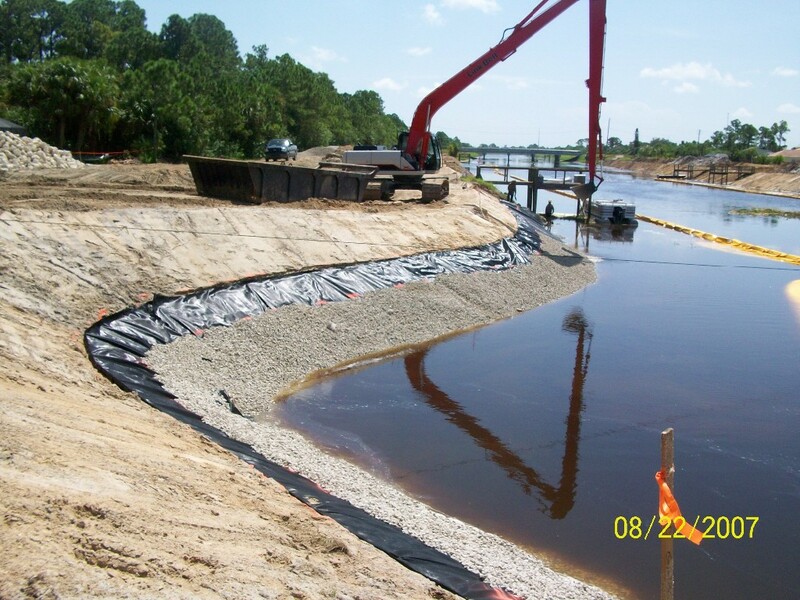 Turbidity controls required. 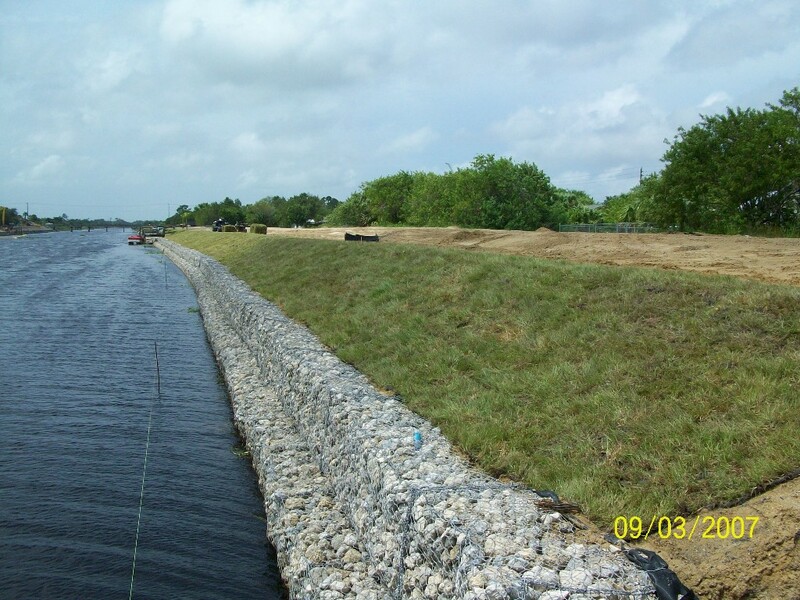 Repair of 120 LF of the C-100B Canal banks in close proximity to high end homes; vegetative removal, excavation, installation of gabion baskets, installation of riprap, backfill and sod. 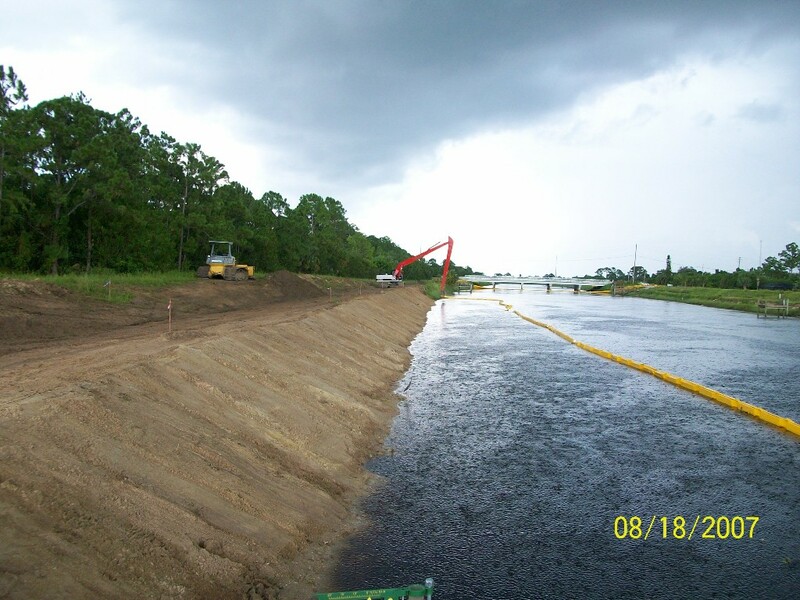 Turbidity controls and seismic monitoring required. 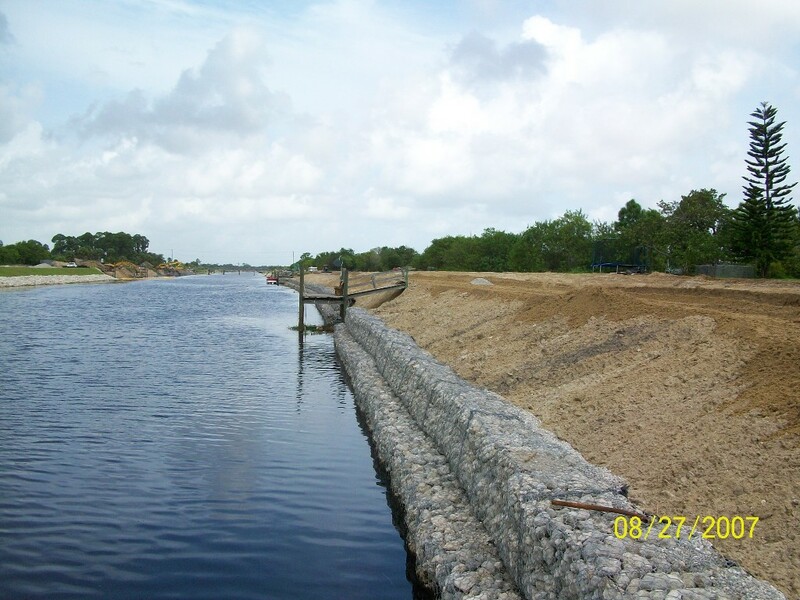 Client: Engineered Solutions Environmental, Inc.
Construction of 388 LF of seawall behind a residential property using 16’ CMI Gator Aluminum Sheet Piling series PZ71 with aluminum caps. 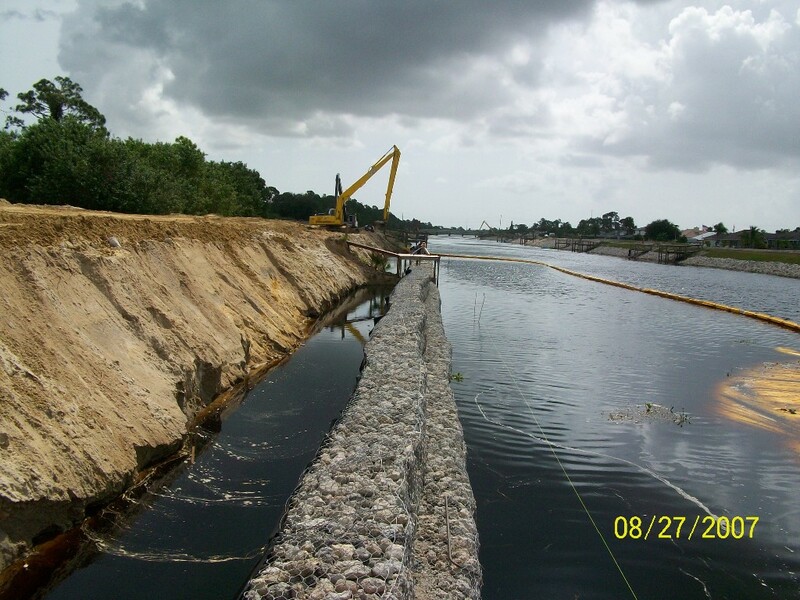 Included placing of fill material to raise the grade to the top of the seawall and connect it to the yard. 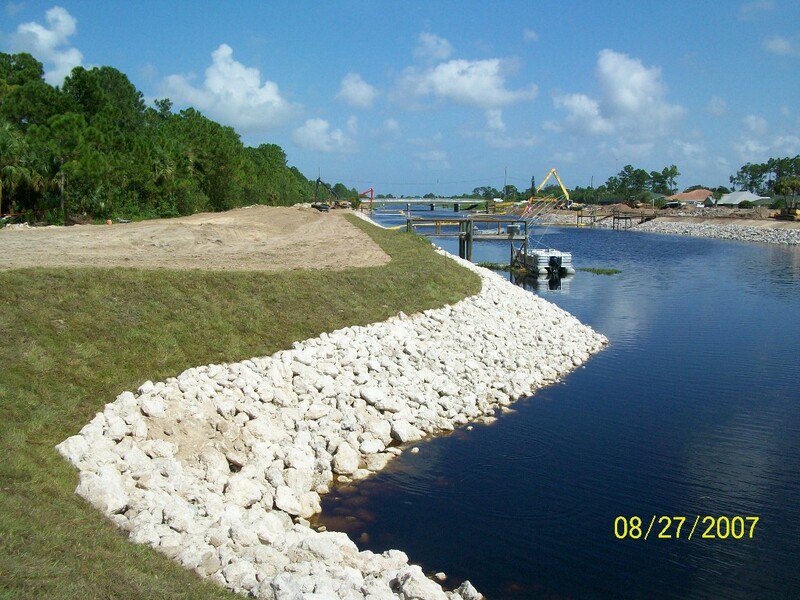 Sodding of all disturbed areas. Required seismic monitoring. 1) Control and prosecution was outstanding from beginning to end. 2) Overall compliance was always outstanding. 3) On-site supervision was outstanding as a rule. 4) Equipment effectiveness was outstanding. 6) Interface with travelling public was excellent. 7) Management effectiveness was excellent. 8) Document furnishment was excellent. 9) Cooperation was outstanding at all times. 10) Final clean-up was excellent.